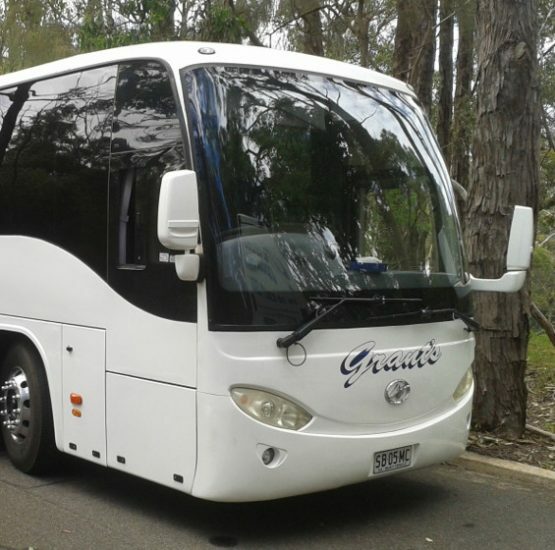 Grant’s Coachlines is a South Australian family owned and operated company with over 20 years of experience. Grant’s Coachline is one of Adelaide’s premier transport providers. Our services include coach charters, school bus charters, airport and general transfers, wine tours, corporate tours and extended tours to both rural South Australia and interstate destinations. Our fleet of vehicles consists of a range of sizes from 21 – 59 seats. Our coachline vehicles are cleaned and maintained to the highest standards by our own qualified mechanics in our own workshop. Having our own facilities ensures our coaches are maintained to the highest safety standard and level of reliability, which means you can travel with confidence with Grant’s Coachlines. We have a strong respect within the field which allows us to enlist support from other coach companies when the need is required. This allows large groups to book with confidence that we will have the capacity to meet your needs. Grant’s personnel pride themselves on their ability to fulfil your needs. We are proud to be able to offer a wide range of coachline hire services in Adelaide to both new and longstanding clients and pride ourselves on our excellent customer service. Thanks Grant’s Coachlines for your donation to Nazareth College in 2017…we bought the winery bus tour and cashed in on it today. Throughout the process your team has been professional, helpful and most obliging. Our driver, Terry was also friendly, obliging and thoughtful – ensuring we always had a cool bus to return to. All 23 had a great day touring in the Adelaide Hills. Thanks!! Great bus company! I’ve been travelling interstate with The Official Crows Supporter Group for the 2016 season and have nothing but praise for the Company and drivers. Always on schedule, safe, comfortable and friendly staff. Thanks! then look no further than Grant’s Coach Lines. Monday – Friday | 8.00am – 17.30pm.